On the heels of the last set of changes, here are a couple more enhancements that have been proposed. Please share your thoughts and feedback! Currently the public Attendees page on WordCamp sites is opt-out and the attendee must contact an organizer to request that they be removed from the page manually after purchasing their ticket. The organizer must then edit the attendee information in the WordCamp site admin, checking a box to “hide from the public attendees list”. 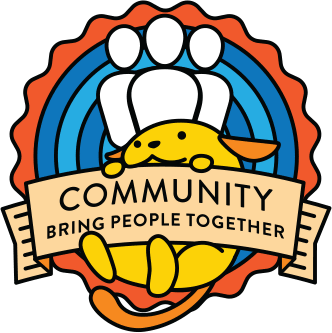 Some WordCamps (including WCUS and WCEU) offer a live stream of the event, and create a special ticket for people to view the streams online. Some of the recently added ticket registration questions, such as those about life-threatening allergies and accessibility needs, are probably not relevant for people viewing the live stream, but currently they are included on every ticket type. The proposal is to add a field to the Edit Ticket screen to designate it as a “Live Stream” ticket, which would allow the irrelevant questions to be omitted. This would additionally make it possible to omit live stream ticket holders from the public Attendees page by default, instead of having to customize the camptix_attendees shortcode. Your feedback on both of these proposals is welcome! I agree that both of these changes should be made. Both are great ideas +1000. In particular the opt-in feature for the attendees list for any type of tickets. About specific type tickets (livestream micro-sponsors, standalone Contributors day, etc..), I think another useful feature would be to be able to display them in specific pages thanks to a shortcode attribute (or even better a Gutenberg block 😉) eg: `[camptix ticket_id=”1″]`. If I’m not mistaken, that would require some pretty hefty refactoring of the camptix shortcode. I definitely think it would be a great idea and breaking the shortcode out of that “only able to work on one page” thing, would be a win, so it’s worth looking into for sure. Yep, this is an oft-requested feature, that is unfortunately really difficult to implement because of the architecture of the CampTix plugin. This is ok, but I would change it to “[checkbox] I don’t want to be listed on the public Attendees page” so people needs to select this if they don’t want to be listed (they would be listed by default). Or if we want them to not be listed by default, this should be “I want to be listed on the public Attendees page”. “Attendees page” would be linked to the WordCamp site’s Attendees page if it is published. As @imath said, this should be a shortcode, no? The intention behind having it be a required Yes/No question instead of a checkbox is that the attendee has to think about the answer and choose one, rather than having a default that they can just skip over. They can’t complete the ticket purchase without making a conscious choice. I can see the arguments for both opt-in and opt-out checkboxes, so this seemed like a compromise (although it’s still more of an opt-in). I don’t think it should be required either; it’s not a critical field in the same way that life-threatening allergies are. It seems like the easiest thing for attendees would be to pick a reasonable default, and then let them change it if they’d like, but not force them think about it. A checkbox also feels more straight-forward to me than multiple radio options, and less cluttered. Either way, I think it’d be bad UX to phrase the question in the negative, since that can easily confuse people. Something like, “Include me in the public Attendees page (learn more)” seems best to me, accompanied by a checkbox that is checked by default. I’m on board with this – the attendee page opt-in is definitely a win for privacy. Opting in to the attendees page is a great idea! This has come up just about every year I’ve helped organize a camp. I would possibly consider making the “Show me on the public attendees page” checkbox checked by default, so it’s still opt-out but much easier and more transparent to do so. As for the live stream ticket type, I would leave the accessibility question as you never know what someone might type. Specifically, I could imagine some people requesting captioning of a livestream or a sign language interpreter visible. I know those requests can’t always be accommodated, but people should be allowed to make them. In the interest of keeping this all in one thread, see my above comment. Both of these suggestions sounds good! I agree with both suggestions. Anything we can do to give users/campers more control with their data is a win-win. Yes, this! A big +1 from me. I think participation in the page is an important part of building community. Seeing the faces of other attendees helps to humanize the event, and it communicates that WordCamps are really all about the community. It helps people make connections that they otherwise wouldn’t. The percentage of attendees who actively want to avoid participating publicly seems very small, and we can make it easy for them to opt-out without hurting our community-building efforts for everyone else in the process. I think we should go ahead and ask the `Do you want to be listed…` question, but have the default answer be “Yes”. @iandunn I am concerned that opt-in will cause issues if ,as I recall, the default attendees short code will display name, website and twitter handle. We will always have issues with scraping of the page fro marketing purposes, but I would rather err on the side of privacy on this one. Yeah, the scraping is really annoying/inappropriate/frustrating, and I can understand why you feel that way. Personally, though, i just hate the idea of neutering an important feature because of it. It doesn’t seem like the problem is severe enough to warrant such an extreme response. It seems kind of like deleting your email account instead of installing spam filters, and accepting that a certain amount of spam is going to get through no matter what. There are sleazy people in the world, and they’re gonna do what they’re gonna do, but I don’t personally think we should sacrifice things that build our community to avoid them. Beyond being frustrated (which it is), I don’t want to burden organizers with having to remove people manually if asked. Edit I forgot there will be a way for attendees to remove themselves- kjc Perhaps it has been focusing on all issues privacy related, but I do believe we’d be best to have folks opt-in. Either way would work for me (as long as opt-out is permitted) and I completely understand the reasoning. I agree that we probably don’t need to add this question to all WordCamps’ registration flow (like allergies or a11y needs). EDIT: It was possibly my idea to require this question in the Camptix work-flow, originally. Thanks for all the suggestions and shared opinions. We had planned to require this question to give attendees more control over how their participation in the event is displayed publicly, but I agree that we already have so many required questions that this will probably be lost. If we inform attendees that their information will be added to a public page by default, but that they can change their display settings and remove their names from that list (by clicking the edit token in their confirmation email, I think we’ve put the power in the hands of the people and saved our organizers a lot of time and trouble. What do you think? Regardless of whether the question is opt-out or opt-in, it will be on the registration form, as well as on the Edit Info form that you can get to from a link in your ticket receipt email. So people will be able to make the choice during registration and then also change their minds later if they want. It should be possible to add some logic to only show it on the edit page, if we wanted to, right? I don’t have a strong opinion either way. On the one hand, it’d be nice to cut down on the number of questions people have to answer, but if we’re already going to have to add a notification that they’ll show up on the page, then it seems like we might as well add the question in both places too. We’ve gotten quite a few complaints in the past about not being able to opt-out during registration, which means the attendee will appear on the public page for as much as 12 hours (due to caching) before their post-registration request to be removed is honored. I’d prefer to keep the question on the registration form as well. Ah, that’s a good point. Agreed, that’s a good point. I agree with both suggestions. There is WordCamp which does not provide lunch in our country. In that case, as well, I feel that the question about allergies is unnecessary. These may seem like edge cases, and maybe they are, but I really do think that there should be no default option for the attendees page question. Yes, the attendee can go in and change this themselves, but as Corey mentioned above, this can take up to 12 hours to update on the frontend because of caching. To be clear, the up-to-12-hour wait is if you change your Attendees page preference at a later time, after your ticket has been purchased. With the new checkbox that is there now, if you uncheck it while purchasing your ticket, you won’t ever show up on the Attendees page. I understand your concern about safety for certain cases, but in this case I don’t think the opt-out checkbox increases anyone’s risk. I suspect that anyone who is concerned about where they appear online is likely to notice that line on the registration form and choose to uncheck the box if they prefer not to be included on the page. And I agree with this comment, that making it opt-in would greatly reduce the effectiveness of the Attendees page as a marketing and community-building tool.